We've been emailed by a few readers that a friend, a 23-year-old N.Y.C. school teacher named Hannah Upp, has been missing since August 29. She was planning to go away that weekend, but when she didn't show up for work on Monday, and her roommates hadn't heard from her, they went into her bedroom where they found her "keys, her phone, and her handbag containing her wallet, her ATM card, her subway card, and her ID (right now just her passport)." 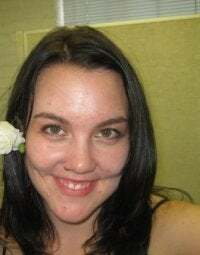 Her friends have filed a missing persons report, started a Facebook page in search of any information on Hannah's whereabouts, and are asking people to contact the 30th Precinct if they have any information about her.